OnLive released the Death Rides Pack DLC for Darksiders II. 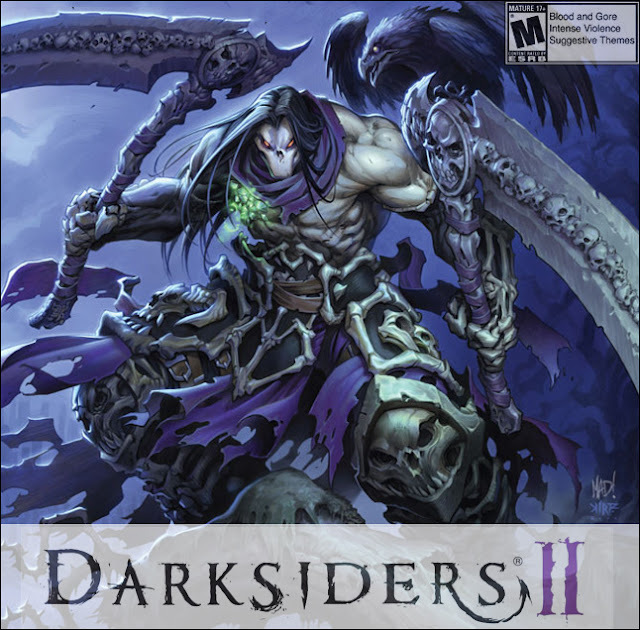 The Darksiders II - Death Rides Pack add-on costs $6.99 in the US ($4.89 PlayPack), £4.39 in the UK (£3.07 PlayPack) and €5.49 in Belgium (€3.84 PlayPack). People who pre-ordered Darksiders II on OnLive were promised the Argul's Tomb content pack, which was now released by THQ. But OnLive now emailed the people who pre-ordered the game that they couldn't manage to bring the Argul's Tomb content pack to the service and as a replacement they get the just released Death Rides Pack for free. OnLive didn't disclose if they will release the Argul's Tomb content pack in the future and if the people who pre-ordered Darksiders II will still get it for free. Featuring multiple exclusive side-quests, the Death Rides Pack add-on allows the most fearless adventurers to explore more of the Maker's Realm and Dead Plains and earn additional experience and loot. Aid an ancient Construct, battle The Bloodless and retrieve Karn's lost treasure in around two hours of unique game play content.